Jane Martinson, the former head of media and women’s editor at the Guardian, has joined the Department of Journalism at City, University of London. She has been appointed as the new Marjorie Deane Professor of Financial Journalism and will lead the MA Financial Journalism programme from the end of April 2018. Professor Martinson said: “I am delighted to be joining City, one of the world’s most prestigious journalism schools, at such an important time and alongside so many distinguished colleagues. A City graduate, the well-known journalist completed her postgraduate diploma in newspaper journalism at the university in 1991. 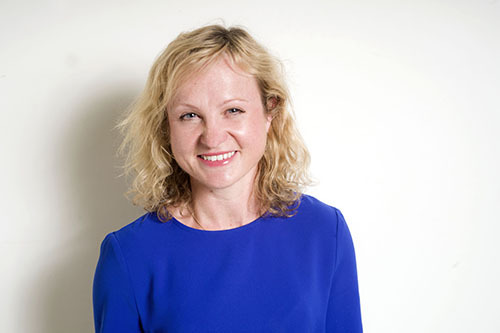 She began her career at the South Wales Echo and went on to work at the Financial Times in a variety of roles including companies and markets reporter and investment correspondent. Professor Martinson joined the Guardian in 1999 as its US business editor in New York. She then returned to London and held various senior positions during an 18-year career at the newspaper, including news editor for City coverage, and then media editor and women’s editor. She was head of media at the paper between 2014 and 2017 and continues to write about the media industry as a columnist. She is also a regular contributor to broadcast news in the UK. Professor Martinson is also a former chair of Women in Journalism and has helped to raise the profile of women in the industry. The MA Financial Journalism programme is supported by the Marjorie Deane Financial Journalism Foundation, which renewed its backing of the course in 2017 with a grant worth £550,000 over three years. The money supports up to four student scholarships each year, summer schools in New York and Shanghai and a professorship in financial journalism. Professor Martinson replaces Professor Steve Schifferes, who led the MA Financial Journalism programme between 2009 and 2017.